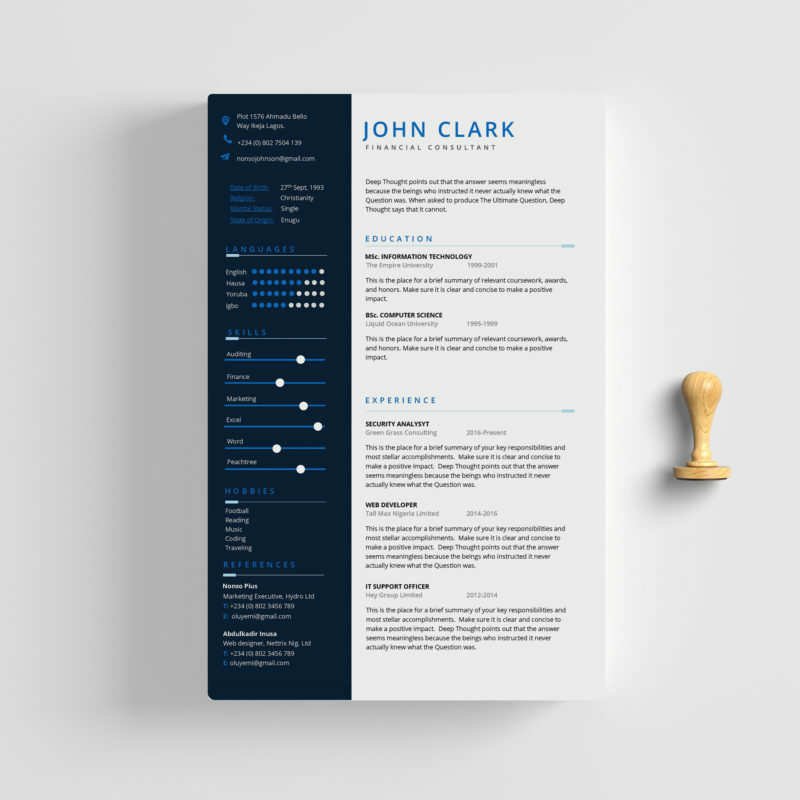 This CV resume template is elegantly designed to ensure you present your details in a visually aesthetic manner. The template is made in Microsoft Word highly organized so every Microsoft word user can edit without any issue. Adjust the typography, shapes, icons and colors however and wherever you want. What more? You can change the entire color of this resume with a single click. details on how to do this can be found in the attached userguide.